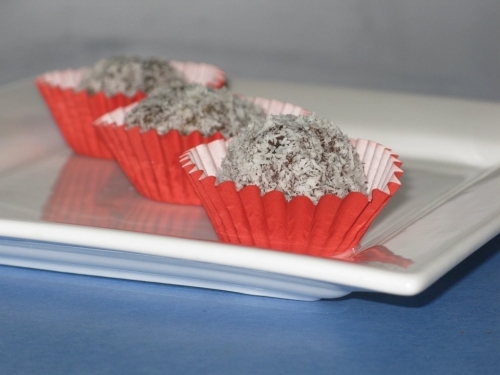 These little truffles are deliciously caramelly and soft, and with four basic ingredients you can make 20-30 of them to share or demolish by yourself in front of the TV. 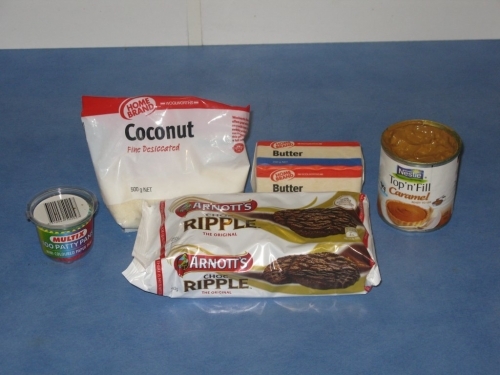 You will need a 250g pack of choc ripple biscuits, 60g butter, coconut to roll the finished truffle in and a 375g tin of caramel. For this you can either use the Nestle Caramel Top 'n' Fill, or you can easily make your own can of dulce de leche from a tin of condensed milk. Crush the choc ripple biscuits into a chunky powder. 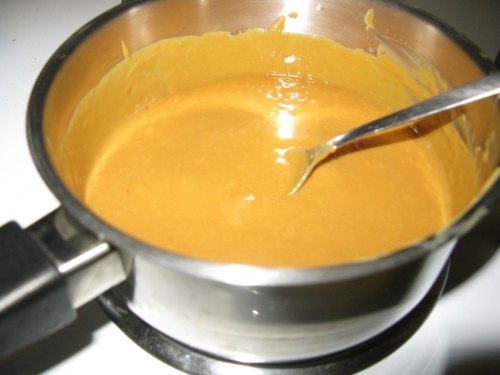 Place the caramel and butter in a saucepan and bring to the boil on a low heat to form a bubbly caramel goop. 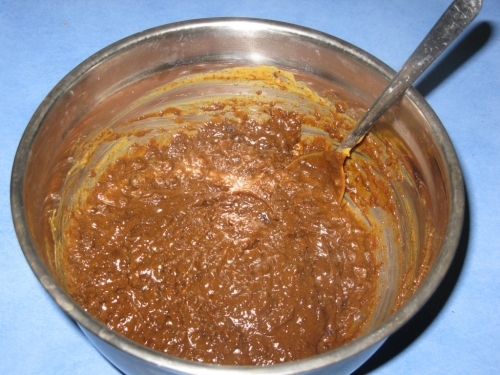 The caramel can catch and burn easily, stir often and don't leave it unattended. 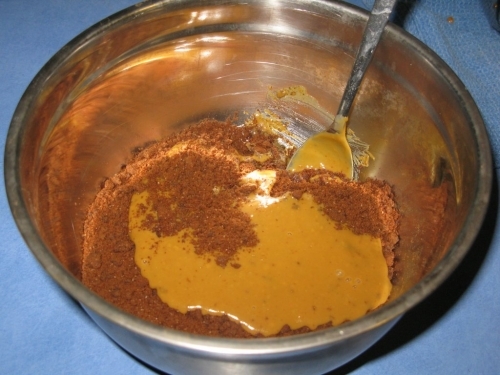 Mix the caramel into the choc ripple powder. Leave this mixture covered in a cold place for at least and hour. When the mix is firm enough to hold its shape, take small spoonfuls, roll into balls and coat in coconut. Place in mini cupcake wrappers and refrigerate until required.